Waiheke Island produces less than 1% of New Zealand’s production – so the odds are not good that you will find many here in the USA. Waiheke is located a short 30 minute ferry ride from Auckland and is known for developing the classic Bordeaux (Cab and Merlot) varietals. 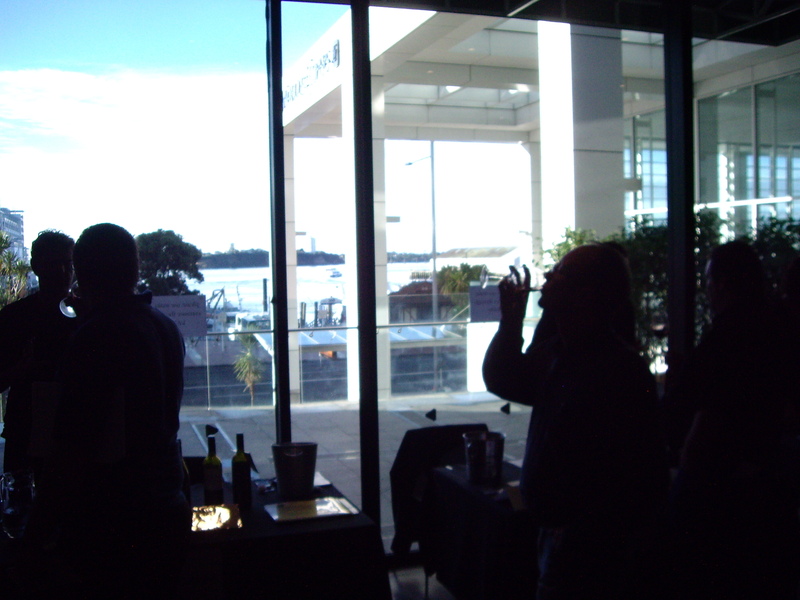 We were lucky enough to be in Auckland during a trade tasting event and tried wines from 15 wineries. Cable Bay – while the bordeaux blend was nicely crafted, it was the 2008 reserve syrah that caught my attention. Dark red in color with a slight orange ring to it, this was focused with dark fruits, tannins and acidity all in balance. The 2008 Chardonnay is very nice as well. If you go to the island, I have been told to not miss their restaurant. Destiny Bay – Loved their Bordeaux blends with Cabernet being the predominate varietal in the blend. These are full-bodied wines that reminded me of some of the finer Napa Valley cab blends. Turns out that Destiny bay has Eric Baugher of Ridge Monte Bello fame as their consulting winemaker! Both the 2006 Destinae and Mystae were great and highly recommended. The Hay Paddock – 06 was the inaugural vintage which resulted in a “best in class” award. Focused on cool climate syrah, each vintage we tried showed a 5 – 10 year aging potential. Man O’ War – we enjoyed the sauvignon blanc but we were really impressed with the valhalla chardonnay. Huge flavors, great balance w/oak and malolactic butters. they are getting lots of press on their bordeaux blend and the syrah and deservedly so. Passage Rock Wines – The coastal influence was obvious with the Pinot Gris. While crisp, it had a creamy mouth-feel you don’t normal get with a Pinot Gris. The Viognier also rocked. Stonyridge vineyards – They were not pouring the highly acclaimed “Larose” (touted as one of the 1001 wines you must try before you die) but we were happy to get our paws on the Pilgram which is a GSM blend. Like walking through the fruit section of a farmers market, this wine exhibited all the rip red fruit nose and taste. The single vineyard malbec was one of the best I’ve had in a long time. If you go to the island, I have been told to not miss this vineyard. Te Motu Vineyard – known for their bordeaux blends, this winery keeps the reserve in barrels for 30 months before bottling.We did a 3-year vertical of the Te Motu (04-06) and found lots of fruit flavors with a nice balance between the tannins and acid.